The nuclear negotiations between Iran and six world powers to finalize the Lausanne “framework” of understanding are scheduled to reach an agreement by June 30. Yet, it is not expected that a final agreement can be reached by that time. In the US, the White House and the Congress have agreed that the final agreement must be carefully reviewed by the Congress before some of the sanctions against Iran are gradually suspended. The US is pushing to impose its will completely and permanently on Iran. The Secretary of State John Kerry said on April 2, 2015 “there will be no sunset to the deal we are working to finalize …” However, there have been heavy criticisms of the Iranian negotiators for the concessions they have secretly made to the primary contender, the United States. The quarrel is between the Iranian negotiators and various opposition factions and most of the representatives in Iran’s parliament (Majles). According to the Lausanne “framework” the Iranian negotiating team has agreed to practically scrap Iran’s nuclear program. Therefore, if this deal is finalized, many billions of dollars of Iran’s investment to develop such important advanced industry will be totally wasted along with the lives of several top Iranian nuclear scientists that were killed by foreign agents. The negotiation team had initially concealed the major concessions it had made to the other side. However when details of the framework were released by the US State Department on April 2, 2015, it became clear that the team had accepted all major parameters of the US demands. Further details disclosed in a closed session of the Majles confirmed that the team’s acceptance of the US demands had been in consultation with the Supreme Leader Ali Khamenei. The West is demanding to have access to all Iran’s military installations and to be allowed to interview Iranian military and nuclear scientists at its will. The Lausanne proposed agreement and its details related to the Additional Protocol which requires inspection of Iran’s military sites for Possible Military Dimension (PMD) of the nuclear program have generated clashes among various factions of Iranian political spectrum. These factions are generally divided to two groups of pros and cons of the Lausanne deal. The pros argue the Islamic regime must yield to all US demands without any pre-condition, then in return, the sanctions will be lifted and the country will come out of international isolation, otherwise there will be possibility of military attacks against the country. These factions are the minority supporters of Hassan Rouhani’s administration. This group is composed of the compradors, including merchants that expect benefits when sanctions are removed by importing goods from abroad and also the financial sector that can benefit from flow of foreign funds to Iran if that can happen. On May 24, the Foreign Minister Mahammad Javad Zarif and his deputy Abbas Araghchi attended a close session of the Majles to give details about the Lausanne nuclear deal. That session became stormy and ended with personal clashes, as a short video clip later showed. A Majles representative Mehdi Kouchekzadeh shouted at Zarif “negotiations must be stopped” claiming he was speaking on behalf of the Supreme Leader Ali Khamenei. Zarif responded “the Leader does not need a speaker”. Then Koucheckzadeh called Zarif a “traitor,” which prompted an angry reaction from the minister. Zarif has had friendly relations with the American diplomats. Washington had eyed Zarif for some time as a future leader since he was a young diplomat member of the Iranian delegation at the United Nations. Zarif is listed as a Young Global Leader by the World Economic Forum. Hamid Rasaei, a parliament representative, published a part of Araghchi’s speech in the closed session of the Majles. Araghchi had said he had obtained permission from Khamenei to accept the Additional Protocal that includes inspection of the military sites by the IAEA. Araghchi qualified his statement by saying it will be “managed inspection”. That statement angered many of the parliament representatives who protested the way that the negotiating team had concealed important information from the parliament, and believed accepting Additional Protocol is a big mistake for Iran because it stops the country from returning to its initial position if the other side violates the agreement. Next day, Sadegh Larijani , head of the judiciary, criticized Rasaei for making Araghchi’s words public. President Rouhani feels the present Majles could be a barrier to a possible nuclear agreement and wants to push his own affiliated groups’ candidates to the next Majles that is for vote on February 26, 2016. He is now advocating “free legislative vote”, while himself was not genuinely elected according to Abass ali Kadkhodaei, the then Guardian council’s spokesman. 1. Give Iran the ability to return to its initial position if the other side violates the terms of the agreement. 2. No inspection of and limitations on Iran’s military forces or military installations is acceptable. 3. No supervision beyond international norms must be accepted. 4. No contacts with Iranian nuclear scientists or limits for conduct of nuclear scientific research and development in Iran are acceptable. 5. 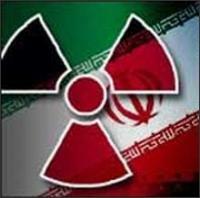 The required nuclear facilities for Iran’s domestic needs must be preserved. 6. All sanctions imposed on Iran must be lifted immediately when the agreement is signed. The uprising further flared up after Friday prayer. On May 29 there were many demonstrations in major cities in Iran, including Tehran, Esfahan, Shiraz, Tabriz, Bushehr, Kerman, Gorgan, Qazvin, Qhom, Kermanshah, Rasht, Ardebil, Bandar-Abbas, Sanandaj, Semnan, Hamedan, where protestors chanted anti-American and anti-Israeli slogans. To preserve the status quo, the Leader Khamenei has accepted the US demands behind the scene, while in public he is saying otherwise to restrain the opposition. Khamenei has told the opposition to cooperate with Rouhani’s administration. However, he has rapidly lost support due to his backing of Rouhani to seal the agreement. The opposition feels this agreement will convert Iran to a de facto US puppet state and therefore it should not be signed.